Roy Purton Harvey married his “English Rose” Susan Margaret Chalcroft, in Ulverstone on Wednesday 17th December, 1919 at the Holy Trinity Church. Roy was 23 at the time and gave his occupation as a “fisherman.” Susan Chalcroft was from Surrey in England, aged 22 when she married Roy. Using the UK Census records, the earliest of Susan Chalcroft’s ancestors currently identified is Thomas Chalcroft, who in 1841 was farming at Ramnest Common, Chiddingfold, in Surrey. Thomas was born about 1806. He and his wife Mary had a large family of 9 children, Walter (Susan’s grandfather) being the fifth child, born about 1833. In the 1861 census Thomas is an agricultural labourer in Gumber, Sussex with Mary and children James and Susan living at home, and in 1881 he, Mary and son James were living in Chichester Road, Walberton, still labouring in the fields. On 12th July 1864, Susan’s Walter married Rebecca Hollyman (born about 1835 in Cuddington, Buckinghamshire). Rebecca’s father John was an agricultural labourer. In the 1841 census record Rebecca is spelt Rebecka and in 1851 Rebeckah but from the 1861 census and in her marriage certificate the spelling was Rebecca. In 1861 she was a housemaid for Sophia Curtis at Central Lodge, Central Hill, Croydon. In 1865 when Walter Charles was born (18th May, 1865 at Annerley Vale), Walter was a porter at Crystal Palace railway station. The 1871 Census states that Walter’s occupation was railway signalman and the family were living in Hamelet Road, Penge. Walter and Rebecca only had the one child. In 1881, Walter and Rebecca were living in Mount Road Pembroke Lodge in Sunninghill, Berkshire, and Walter is working as a domestic gardener. Walter Charles was an ‘under gardener’ with his father. In 1891, Walter was living in Flo Cottage, 168 Clinton Road, Leatherhead, still gardening for an occupation. Walter died in 1893, Rebecca in 1896. Susan’s father Walter Charles Thomas Chalcroft (occupation at the time recorded as a seaman) married Martha Sanders (aged 32) 26th April 1890 at St Mary & St Nicholas, the parish church in Leatherhead, Surrey. The census material shows that Martha’s name was spelt differently on the marriage certificate, it being Saunders and Sanders variously. Searching the census material the following sequence of Martha’s life is recorded. 1861 Martha was 5 years old living in Fertttshugridge Lodge, Betchworth. John her father was an agricultural labourer and his wife Mary and he had 4 children. James was born about 1849, William was born about 1853, Martha in about 1856 and Louisa in about 1858. 1871 Martha was aged 15 and a servant in Harriet Evans’ household in High Street, Ewell, Surrey. She was the only servant for a family of six. 1881 Martha was aged 25 and a ‘domestic service housemaid’ for Anne Swanston, a widow, living in Clinton Road., Leatherhead, Surrey. This household was more substantial, there being a cook, a nurse and Martha looking after a family of three. UK Census Records for 1901 and Births, Marriages and Death records and they show the following about Walter Charles and Martha’s children. Martha died at Clinton Road, Leatherhead on the 25th August 1900. 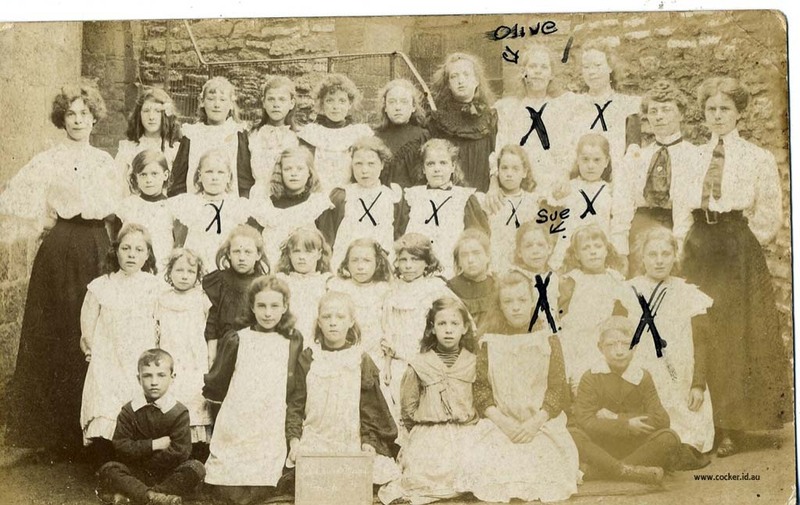 Susan was only 2½ when her mother died. Walter Charles Thomas, recorded in the 1901 Census as a “labourer,” tried to care for the three children but he found it too much. He ran away, leaving the children alone in the house to be discovered by neighbours who heard them crying. Olive always believed that she would find Walter Charles. A fortune teller had told her that she would travel to a far away land (Australia?) and there would find someone very close to her. If she did find someone, it wasn’t Walter Charles! Whatever became of Walter Charles has never been confirmed. Did he run off to sea again? There is no record of him in the 1911 census but there is a record of a Walter W Chalcroft dying in Apr-June, 1913 in Eastbourne with an estimated birth year of 1864. When a search of the English birth registry for “Walter Chalcraft” is done for the period 1862 to 1866, only Walter Charles returns. The same guy? The girls Olive and Susan were placed in a Church of England Home for Girls. 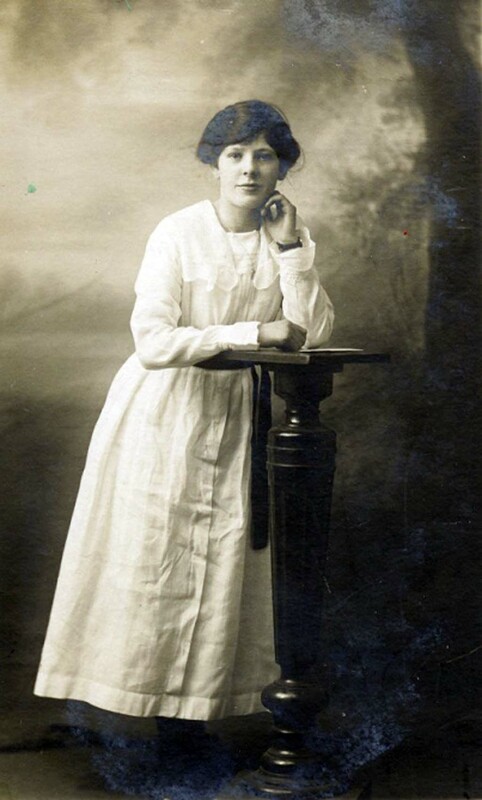 In the 1911 Census, Olive was a domestic servant at High Arcal House, Lower Gornal, near Dudley (the same address to which Walter mailed a postcard when he sailed to the Western Front in France). Susan, aged 12, was nearby in Dudley living in an institution learning the skills to be a domestic servant. Walter was an inmate at a Chelsea and Kensington Workhouse School in Ewell, Surrey, near Leatherhead. There are not many family mementoes or photographs from Susan’s early life and it’s sad to report that the children’s institutional life was so separate that it wasn’t until Walter was about to sail off to France in World War I that the girls were reminded that they had a brother, as he did nominate them as the next of kin. He did re-establish contact with the girls at this stage. Walter enlisted in the Army, serving in the King’s Shropshire Light Infantry (KSLI) and then the 6th (Inniskilling) Dragoons. When World War 1 started, the regiment was stationed in Muttra (now Mathura), India, part of the Mhow Cavalry Brigade. 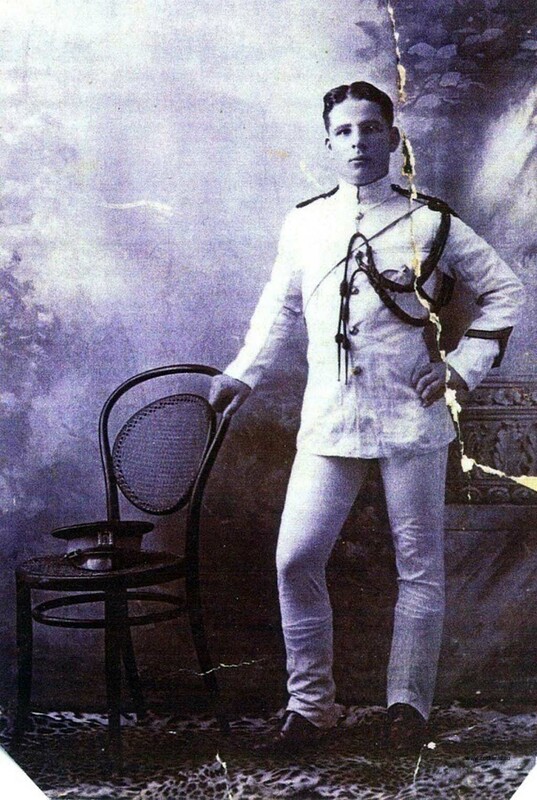 From a group photograph at barracks in India, he was a clarinettist in the regimental band. The regiment shipped back to Europe at the outbreak of war, arriving at Marseilles 14th December 1914 and thence to the battlefront. Walter died in the Great War, 4th October 1917. When he died he was a Private in the Royal Warwickshire Regiment, 14th Battalion (#32615) in Flanders. He was killed in action and is buried at Tyne Cot Memorial in Belgium. The “findmypast” record states “formally #6461, Dragoons.” His Dragoons number was in fact #17190. His medals recorded him as a private in the KSLI. Susan left the orphanage and went into working life as a domestic servant. Phyllis remembers Susan receiving Christmas card from a former employer, a Mr and Mrs Collins of Manchester, who owned a cotton factory. Susan and Roy met at the family estate of the Wedgwood’s whilst he was convalescing from his wounds suffered at Ponziere. Susan had been “called up” by the British Government to be a domestic servant at one of the many grand homes taken over by the Government for injured troops to convalesce at. Susan followed Roy to Tasmania in 1919. Olive followed Susan to Australia, emigrating in 14th January 1921 from London England on the P&O ship Borda, captained by Capt J McIborland. She lived in Melbourne and, Phyllis recalls, worked in the Dunlop shoe factory when she first arrived. Though Olive did have a ship romance on the way to Australia, it went nowhere and she never married. Phyllis remembers going through Olive’s hope chest, which Olive left with Susan. Olive became a ‘lady’s companion,’ employed by the rich wives and widows of Melbourne to cater to their whims, and did this type of work until she was hospitalised with Parkinson’s disease and died in 1964. 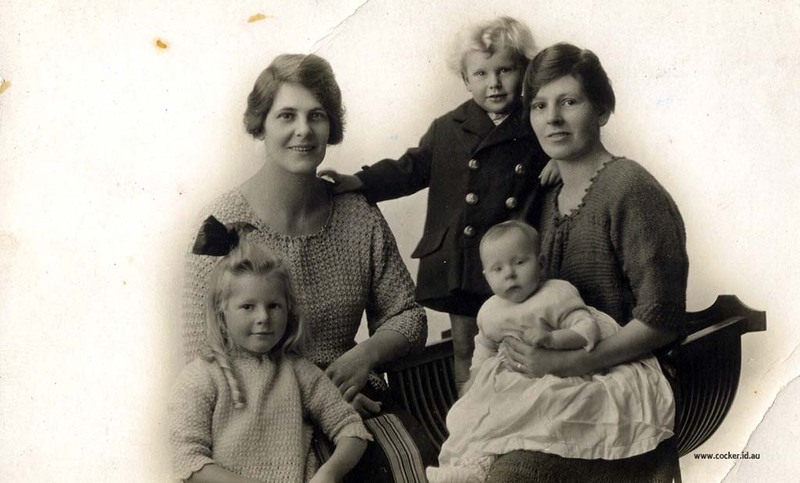 Olive was the favourite aunt of the children, loving and spoiling them with gifts and beautifully handmade items of clothing. They all were proud to wear Auntie Lolly’s garments. The ancestry lines of Marjorie Harvey nee Adams family are, according to the England Census from 1841 to 1901, heavily populated with agricultural labourers and domestic servants. The maternal history of the family is around the Southwater/Horsham area in Sussex for all of the 19th century. The death is recorded in the English Death Registry for July, August September 1900, district Epsom, volume 2a, page 24. Olive wrote to a former cares care of St John’s Cripplegate, Edgware but a Google search cannot find such an establishment. The 6th was a regiment originally formed in Enniskillen, County Fermanagh, Northern Ireland in 1689. The regiment was part of the Union Brigade heavy cavalry (troops on large horses) at the Battle of Waterloo and was in the charge of the Light Brigade at the Crimea (25th Oct 1854), even though it still “Heavy” cavalry and not technically a dragoon unit. Phyllis Ingamells has an embroidered regimental postcard. The regiment has been based at Enniskillen Castle at various times over the centuries. Chalcroft, Walter, Panel 23 to 28 and 163A. The Union workhouse, governed by legislation enacted in 1837, was intended to act as a deterrent to the able-bodied pauper. This was a principle enshrined in the revival of the "workhouse test" — poor relief would only be granted to those desperate enough to face entering the repugnant conditions of the workhouse. If an able-bodied man entered the workhouse, his whole family had to enter with him. Life inside the workhouse was intended to be as off-putting as possible. Men, women, children, the infirm, and the able-bodied were housed separately and given very basic and monotonous food such as watery porridge called gruel, or bread and cheese. All inmates had to wear the rough workhouse uniform and sleep in communal dormitories. Supervised baths were given once a week. The able-bodied were given hard work such as stone-breaking or picking apart old ropes called oakum. The elderly and infirm sat around in the day-rooms or sick-wards with little opportunity for visitors. Parents were only allowed limited contact with their children — perhaps for an hour or so a week on Sunday afternoon. By the 1850s, the majority of those forced into the workhouse were not the work-shy, but the old, the infirm, the orphaned, unmarried mothers and the physically or mentally ill. In the 19th century, the Union Workhouse was, in many localities, one of the largest and most significant buildings in the area. The largest ones accommodated more than a thousand inmates. Thakeham was a small parish institution, with only some 20 places. Entering its harsh regime and spartan conditions was considered the ultimate degradation. A copy of articles about trip in the MID-SUSSEX TIMES (1968) by Mary and Walter to Australia to visit Betty is in the Adams jpeg file. The main story line was that it was bloody hot and not green like Sussex. Pulmonary emphysema - a British medical textbook of the 1860s described the familiar clinical picture of emphysema as an advanced disease caused by repeated and chronic bronchial infections that ended in right heart failure. Overall, this disease caused more than 5% of all deaths in the Middle Ages and earlier. The condition was common among the poor; therefore, it was attributed to "bad" living. Causes include a history of childhood chest infections or heredity. Today the disease is associated with smoking. Low Barn is on 5 Oakes Road Slinford, Horsham, near Itchingfield. 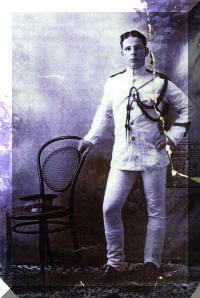 The Rifle Brigade, “Prince Consort’s Own”, was founded in 1800. In World War I it served almost exclusively in France. "The Grange" was originally an Elizabethan gentleman's house, but extensively re-modelled by Sanderson Miller, the rector of Radway, in Gothic revival style in the 1740’ies. It stands on the site of the original Stoneleigh Abbey grange, and is still a private house. It was occupied by Douglas Haig before he became Commander in Chief in Flanders in World War I. In Radway there is the Round or Radway Tower (currently it is the Castle Inn) built by Sanderson Miller in 1742 to commemorate the 100th anniversary of the famous battle in the English Civil War between the Parliamentarians and the Royalists (23 October 1642). The battle was the first pitched battle of the civil war and was an indecisive Royalists victory.